As a blogger, I always enjoy the comments on my writing a lot. I do not always follow up on them as accurately as I would like to, but trust me when I say I do enjoy them. A couple of days ago I received mail from Vaughan Armstrong. I met Mr. Armstrong once at Aloa and learned he is a well respected authority in the field of US military locks and safes. I have read the posts regarding Barry’s Christmas present (December 2006). My thanks to all who posted; I would like to contribute some information. The present is a field safe, a GSA (General Services Administration) approved security container, for storage of classified material in the field. Federal Specification AA-F-358 (current revision H),(18 May 2000) and its most recent Amendment (3),(20 April 2007) give the requirements for this “Class 6, Size VIII 1-drawer, for field use.” To view the Specification, visit the Department of Defense Lock Program’s website, https://portal.navfac.navy.mil/go/locks . Put your cursor on “Documents.” Several choices will appear in the drop-down; click on “Federal Specifications and QPLs,” and scroll down to AA-F-358H. This is a Class 6 container; as with all Class 6 containers currently produced, it provides 30 man-minutes of covert entry protection, 20 man-hours of surreptitious entry protection, and is not tested for forced entry protection. (For definitions of “covert” and “surreptitious,” see paragraphs 6.4.3 and 6.4.2.) Because it is for use in the field, paragraph 3.3.8 requires that “The Class 6, Size VIII cabinet shall be provided with 2 lift type carrying handles” and paragraph 3.3.8.2 requires that it have a dial knob protector (visible in the photograph). The red-lettered label on the front of the drawer indicates that it was made between October 1, 1990 and present. The drawerhead is removable from the rest of the drawer. Paragraph 3.3, Table I gives maximum dimensions and weights for containers covered by the Specification; the weight of the Christmas present is within the limit (maximum weight 138 lbs.) for field safes. Paragraph 3.3.2 requires that “The weight shall be permanently marked” on the container. Paragraph 3.4.2 addresses the lock required. It now must be approved to the requirements of Federal Specification FF-L-2937. Previously, locks meeting Underwriters Laboratories (UL) 768, Group 1R were required. The lock must have a snap-on dust cover. This is to prevent someone “dusting” the dial and dial ring to determine the combination. (Some people use a thumb as a “brake” to steady the dial when approaching a target number. This leaves half a thumbprint on the dial ring and half a thumbprint in three locations on the dial. There are only six ways that these indications can be combined: A-B-C, A-C-B, B-A-C, B-C-A, C-A-B, and C-B-A, and these can be entered in a very short time.) 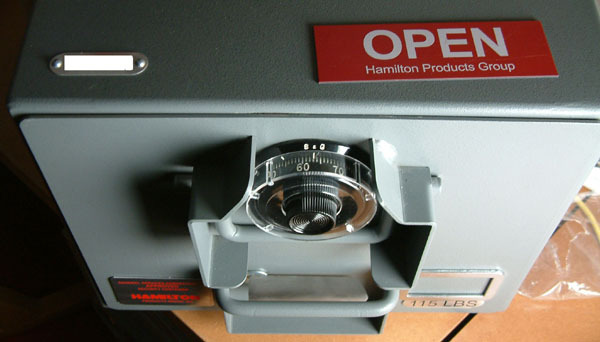 The original lock on this container was the S&G 8560MP. To visit Hamilton Products Group’s website, from the home page of the DoD Lock Program website, put cursor on “Links Index,” scroll down to “Hamilton Products Group” and click on it. 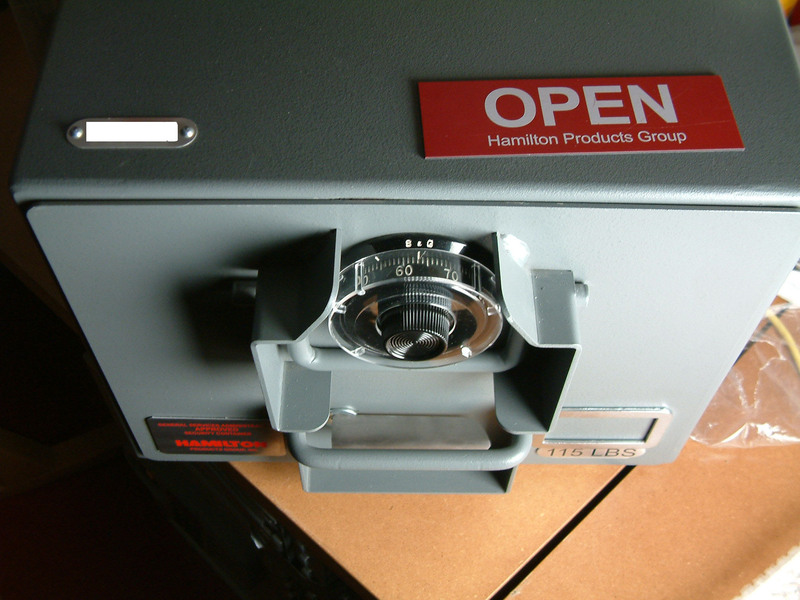 You’ll see that the field safe is made in a single-lock and a dual-lock version. I hope this has been informative, and possibly interesting. I would like to thank Mr. Armstrong for taking his time to answer the open questions (especially on the dustcover) on this little humble weblog. Hopefully it will not be his last comment here. Wohoo … this is cool! A working Yale type lock to cut out and make. Print out the pages of this model onto thin card, follow the fully illustrated instructions and make your own working model warded lock. The download consists of one acrobat file which will take no more than a couple of minutes download. The file has four pages of illustrated instructions for the easy construction of your model and four pages which make up model sheets. 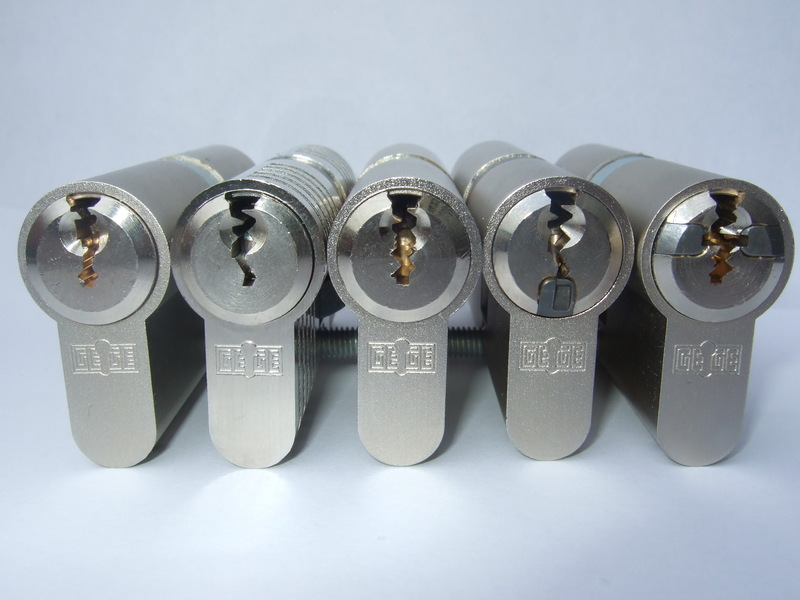 I think they mixed up ‘yale type lock’ with ‘wafer lock’, but that does not make these models less cool. Uhlmann & Zacher, problem solved? There is a new video on the Uhlmann & Zacher lock on YouTube. It seems to show the effect of the much discussed firmware update. Problem solved?!? Finally the list of scheduled talks for the ‘Last Hope’ conference is out. Besides the bigger and better lockpick village that is going to arise at the conference, there sure are a lot of lock-related talks! I am curious how many locksmiths and people from the lock industry are going to attend this conference. If they are even halfway clever they show up and pay attention…. The full list of (almost 100) presentations can be found here. Hope you can make it to the conference and see you there! There has been quite some speculation about this video (YouTube) of a magnetic ring that is used to open some model of Uhlmann & Zacher lock. By now it is confirmed by the company itself the trick works. They claim a software update will fix the problem (and even log opening attempts). The ring used in the video now has a name: ‘the ring of the devil’ and is already available on the market (just 25 euro!). And the questions now are: What is in the ring, how does it work and what locks are affected? Well … I have some answers. Saturday I received my own magnetic ring and can give you some details. Some people thought the ring was completely magnetic, but this is not the case. The ring is made out of aluminum and there are four strong magnets inside. 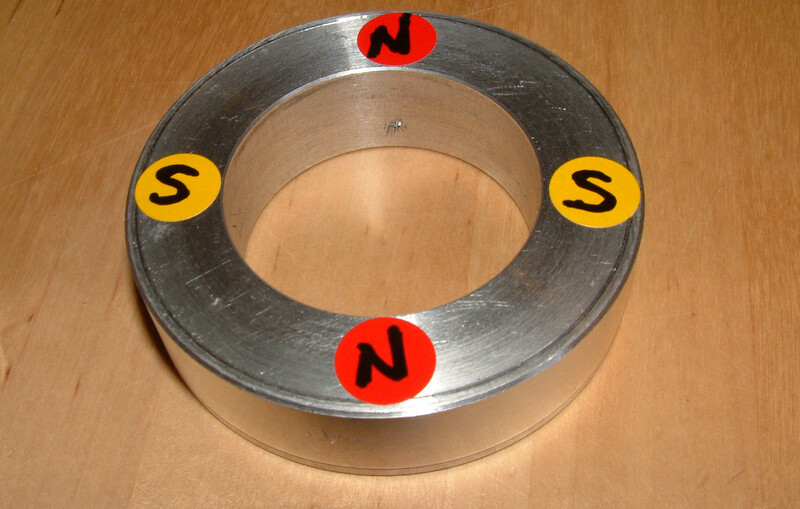 The spacing is 90Ã‚Â° and the magnets are mounted N, S, N, S. On this image you can see four metal keyrings that are stuck to the ring by the magnetic fields. So far I did not pry open my ring to see what it looks like inside. The next question is why does this open (some) electronic locks? Electronics is not my strongest point (as you could have read in my previous posting), but by now I understand a little more about it. First things first: Over the years we have visited many lock companies, and if they had electronic (or electro mechanical) locks they all proudly showed us their lock was not using a solenoid. 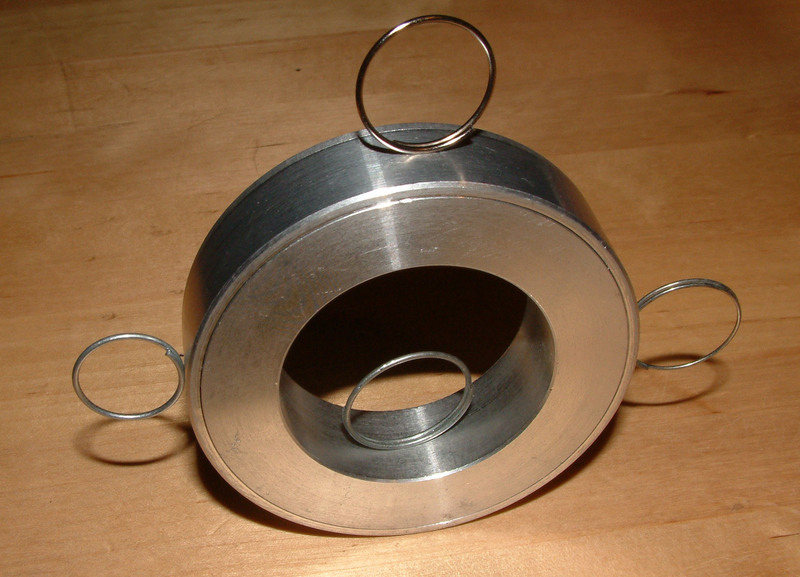 A solenoid is a metal pin that is being pulled into its housing by an electro magnet. So when current is applied to this coil, the electro magnetic field will pull the pin in, allowing the lock to open. The problem with a solenoid is that a nearby magnet can pull the pin down as well, and thus open the lock (like in the first generation Winkhaus BlueChip, problem fixed in later generations). On top of that vibrations also sometimes can bypass solenoids. So instead of a solenoid most manufacturers nowadays use a small electronic motor. If the motor makes a couple of rotations, a blocking element is pulled back and the lock opens. Turning the electronic lock the other way pushes back the blocking element and the lock is closed. A foolproof system…. until now. The ‘ring of the devil’ is capable of attacking this kind of electronic motor lock on two ways. Scenario 1: An electronic motor is nothing more then a metal part on an axe that turns because of a changing magnetic field. Turning electro magnets on and off will generate a pulling force on the metal part, making it rotate. The ring does the same thing. 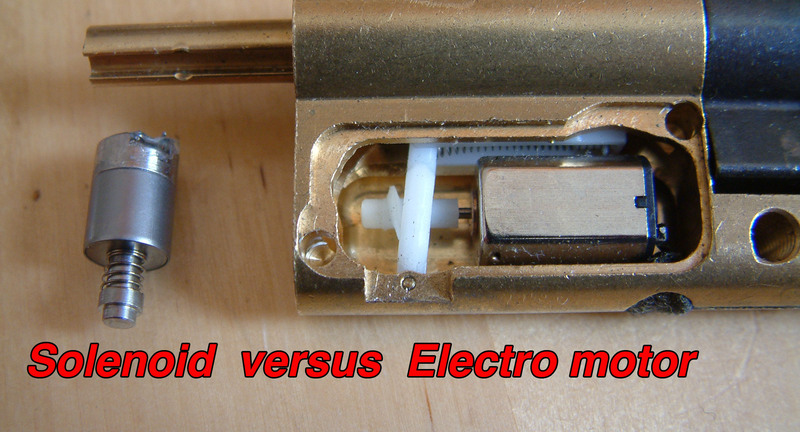 By turning the ring, the metal part in the electro motor starts turning, opening the lock. As Rop suggested in the comments of the previous posting, a bunch of bigger magnets and maybe a high-speed drill can amplify this effect some more. Scenario 2: A dynamo is nothing more then a coil charged by a changing magnetic field. So any coil in the lock will start generating current when a magnetic field is rotating around it. If the coil is in the path of the electro motor, it might generate enough current for the motor to start turning. 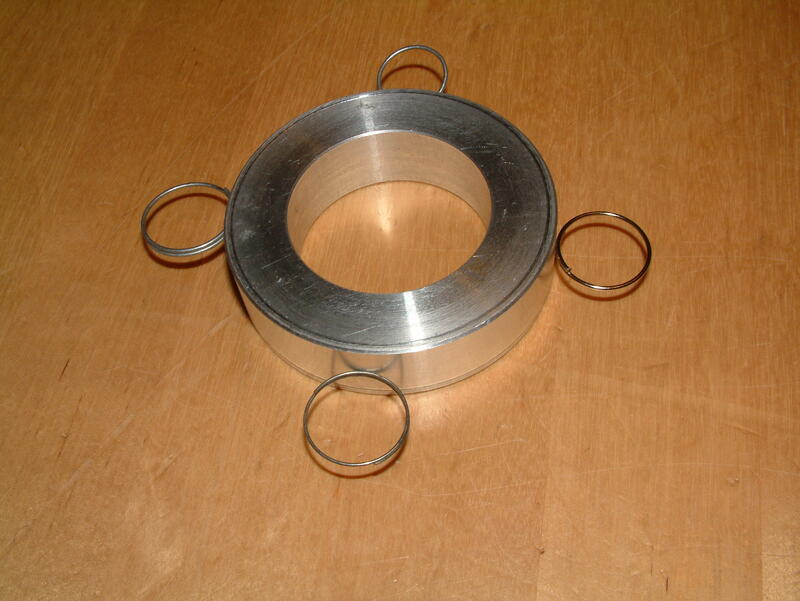 Currently we are testing with this magnetic ring. Jord Knaap and Han Fey already found one other electro/mechanical lock that seems to open under some conditions with this technique. As with all problems we personally discover, we are first going to notify the manufacturer to give them some time to analyze the problem. But with the ‘devils ring’ out on the free market it will probably be a matter of day’s/weeks before other people will find (and report) locks that are vulnerable to it. I can assure you this is not the last post about this new attack on electronic (and electro mechanical) locks on this weblog …..
As many of you might know, I have a passion for clever ways to bypass electronic locks (YouTube). And I just got a mail from a ‘blackback informer’ that pointed me to a highly interesting YouTube video. The only problem with YouTube video’s is that you never know if it is a hoax or not. However this video seems genuine and I believe the following trick could work! On the video we see a euro profile cylinder, supposably a ‘Uhlmann & Zacher‘ electronic door lock, that seems to open when charged with static electricity. When a metal ring is turned clockwise the lock seems to be charged, allowing it to open and close, even when no transponder key is present. Turning the ring counterclockwise seems to discharge the static electricity and the lock remains closed. I would like to thank the blackbag informant who reported this great and interesting video. A package from Vienna … cool GeGe locks! The locks in the picture are some locks we got from Gege, from the left to the right: P-extra, AP2000, AP3000, ANS-2 and the AP4000. They all have an exotic looking keyway, but besides that here is a lot to tell about the inner live of these cilinders, they contain for example horizontal sliders, undercuts, cogwheel, special anti-bump pins, key copy protection, spring loaded axial pins, carbide sintered steel insert, etc. I intend to write an article about these high security locks, so that you will learn more about these cilinders. Click the image for a high-detailed version. The new NDE magazine is out. For the real die-hards nothing new, it has been out for a few days now. But it is good to see the quality of the magazine getting better and better with each new number coming out. And it gives me a god feeling to see Schuyler doing so well. He came up with a crazy idea (NDE magazine) and instead of just talking about it simply executed his plan. And it seems he was able to find the right people to support him. I am curious where this will go to as it has the potential to get really big (with locksport getting big aswell). It brings back memories from a time I was involved in a small magazine that had trouble getting new numbers out in time …. I surely enjoyed reading the ‘Medecoder’ story, and the tension they are building up, not to mention the fact Medeco is changing their production because of it. Something very special has been achieved with that! And to finally see Jaakko Fagerlund’s exploit against Abus Plus series out in the open. The rest you will have to read yourelf, but it is a must read for visitors of this blog. On a personal level: I am done writing long pieces of text under time pressure. First there was the deadline on the foreword of Marc Tobias his book, and on Saturday I finally completed the article for 2600 magazine. The article came out nice, and is an introduction to my presentation at the ‘final hope‘ conference that will be about “high security key duplication”. Entries (RSS) and Comments (RSS). 43 queries. 0.339 seconds.